This research paper explores the global phenomenon of longevity risk caused by the ageing population, the factors that have contributed to it and its impact at the macro-economic level, specifically with regard to the Muslim world. The study shows that, demographically, the Muslim world is moving towards an ageing population. The main factors contributing to this trend are: 1) improvements in both healthcare and standards of living; 2) a drop in fertility rates, and; 3) a drop in mortality rates. According to statistical data, the future demographic trend in the Muslim world is that there will be more elderly people (those above 65 years old) than young people (those under 15 years) by 2030. Politically this situation is problematic because of the potential economic, financial and social impact on citizens and nation states. This creates a longevity risk, the effects of which are already being witnessed in countries such as Japan and Italy, which are faced with ever ageing populations. Longevity risk can be separated into aggregate longevity risk and specific longevity risk. The aggregate longevity risk is usually underwritten by governments because it takes into account the impact of the longevity risk at the national macro-level. The specific longevity risk, on the other hand, is usually underwritten by the private sector. It relates to individuals who want to mitigate the risk at their own cost. The conventional pension and insurance markets in the West have developed some products to mitigate longevity risk. From an Islamic perspective this is a new area of attention, especially for the takÉful industry, which needs to approach the matter from within an Islamic ethos. 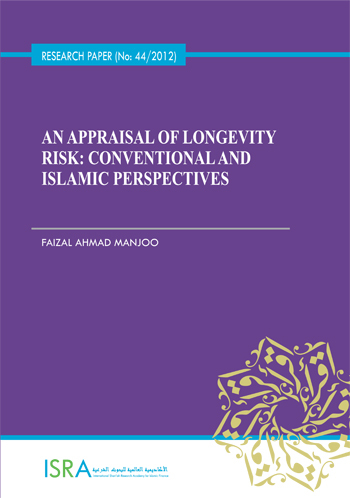 As Islamic economics and finance have certain idiosyncrasies, this paper approaches the issue of ageing and longevity risk from a holistic perspective to provide some direction for Muslim countries to consider.